A pair of banded and matched genuine rosewood and satinwood nightstands or end tables were expertly crafted in France about 60 years ago. 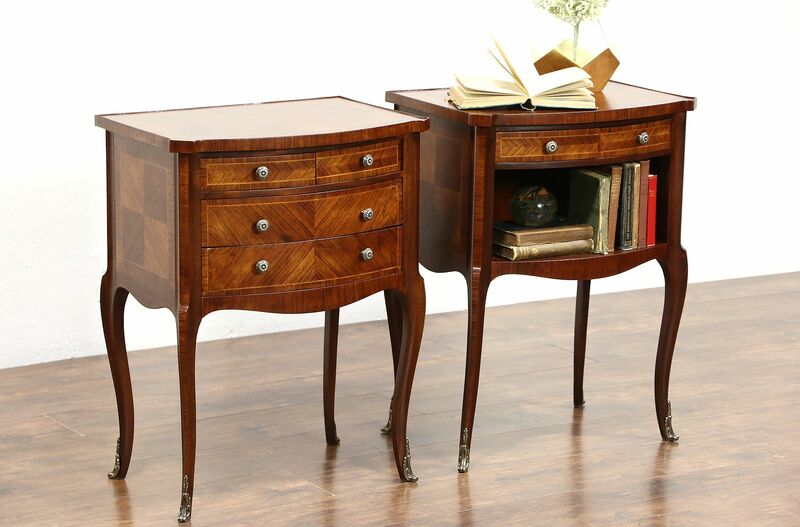 The restored finish is in excellent condition on this European vintage furniture. Brass mounts and pulls are original, drawers have solid oak dovetailed sides. Size is 21" wide, 15" deep and 27 1/2" tall.